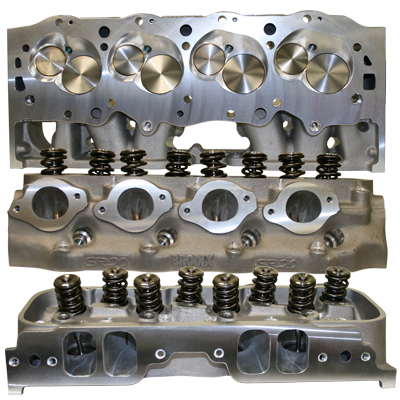 We Start Every Custom Build Of Our Cylinder Heads With Brand New Brodix Castings And Specifically Selected Components - These Heads Are Never "Factory Assembled"! These Heads Bend The Rules For Conventional Head Warfare Like No Other. Developed To Fit The Texas Pro Stock Association Rules, These 20° Castings Offer All Of The Reliability Of Conventional Design With The Power Of 14 - 18° Big Chief Style Heads. More Laps - Same Power - Less Money - A Winning Combination! T&D Shaft Rocker System Available In 1.70, 1.75 or 1.80 Ratio (Split Ratio Sets No Extra Charge).